We love Smokey one of our bunnies! 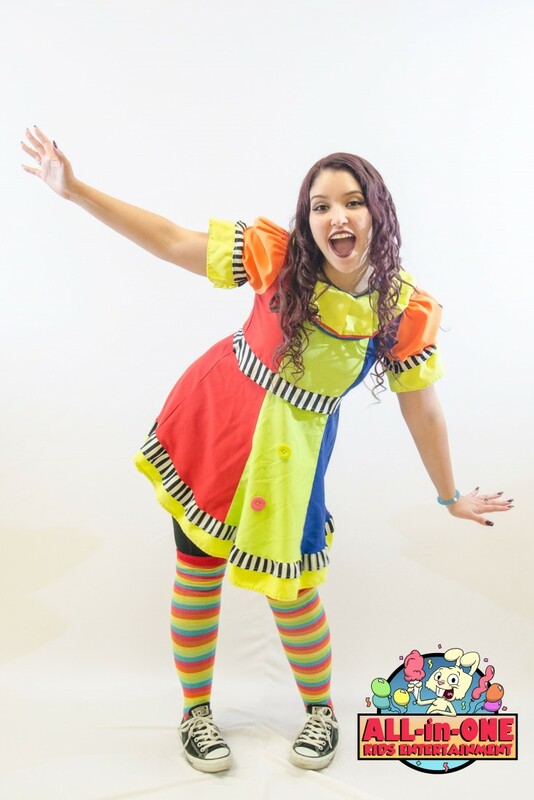 From the smallest private party to corporate events, weddings and trade shows All-In-One Kids Entertainment will amaze and delight both kids and adults alike! 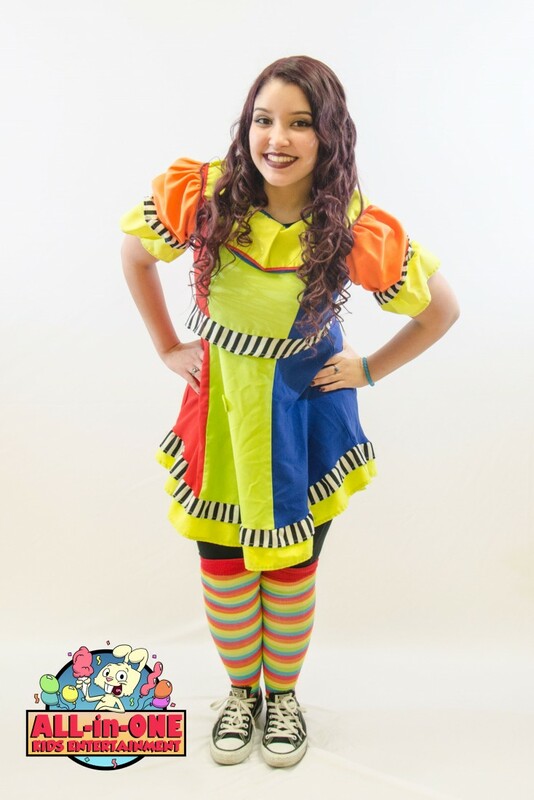 All-In-One Kids Entertainment has entertained at local events, day care centers, summer camps, children’s birthday parties, schools and corporate events wowing their audience with amazing magic performances. Based in Sunrise and covering Broward County, Miami Dade County and South Palm Beach County. We also have a party room you can have your party in our room! Thanks for a great Birthday Party!!!! The entertainers were early and set up promptly. They had balloons bubbles, music, a parachute, a limbo tape as well as other party props. I loved how "Bobo the Jester" came to me, the hostess, to ask how I wanted the schedule to run for the party. In addition, he periodically checked in with me to see how everything was going, what was going to happen next and if I wanted to change anything. Bobo made balloon shapes, led the games and was very enthusiastic! The smile never left his face! “Elsa” was like the queen herself. She was serene, calm and patient with all of the children. She worked really fast to paint their faces and had some cute designs. The magic show kept all of the kids entertained. The kids were fixated on Elsa and Bobo. The rabbit, which came out during the grand finale, left the kids speechless! I really appreciated how the two entertainers patiently waited while each child took a picture with them. The two entertainers were also good "kid wranglers" by getting the kids to happily transition from activity to activity. The boys as well as the girls were engaged. The parents told me that they now have "party envy" and I "raised the bar" with the entertainment from theAllinonekidsentertainment. Many of my friends want to hire Allinonekidsentertainment for their event after our party. I have never been happier and would HIGHLY recommend them to anyone who wants a party that is full of great content, value for money and full of fun. They Were Amazing! They arrived early to set up and they were sooo good with the kids. If I could give this company 10 stars I would!! They were unbelievable. The kids were engaged the whole time and so were the adults. My friend referred me to this company and I am soooo happy I chose them! You definitely should use All-In-One Kids Entertainment for your next party!! We are going to call them back next year! Love love love this company. They are so sweet and fun and kept the kids entertained the whole time. I got the All-In-One magician and clown package and they were great! Balloons cotton candy face paint magic games bubbles it was so fun! I also love their new party room and will be using it for my daughter's birthday next year. I cannot say enough good things about this company! So many others had bad customer service but All-In-One kids Entertainment is amazing! Amanda in the office is so great! Very bubbly and professional in every aspect of the company! Great great job! I requested Sofia the First and a clown for my daughter's birthday, they were great! They did face painting, balloons, bubbles, games and magic show with the kids. My daughter loved Sofia and the kids enjoyed dancing with the clowns. I inadvertently left my copy of the receipt out and was afraid of my husband's reaction when he saw the total but he said "That was all??" Good pricing and value. Will be booking for my younger daughter's birthday next month. Thank you Natasha and Carlo for making my party awesome! We had such a great time the face painting was awesome and so were the balloon animals. The parents even had a great time!!! I will definitely be recommending you to all of my friends!!! I hired All in One Kids Entertainment for my Nephew, Jeremiah's, 1st birthday party. They were amazing. They were engaging and fun for the kids as well as the adults. I am afraid of clowns but I loved Bobo and Bubbles. They were funny and interacted with everyone. The face paintings were a hit! The balloons were terrific. And the cotton candy was an added bonus. When Elmo came out the children's faces lit up. I would most definitely recommend them to everyone! I am proud to say they have gained a loyal customer! Thank you All in one Entertainment for making Jeremiah's birthday simply the best!!! I Highly recommend All-In-One. Very Professional. Amazing! I recently threw a party for my daughter's 8th BirthdayI While planning all the details, I knew that we needed a princess for our themed party I recently had seen All-In-One Kid's Entertainment's pictures and past events on their Facebook page and because of their past experience with friends of mine, I knew that their performance would be truly enchanting! 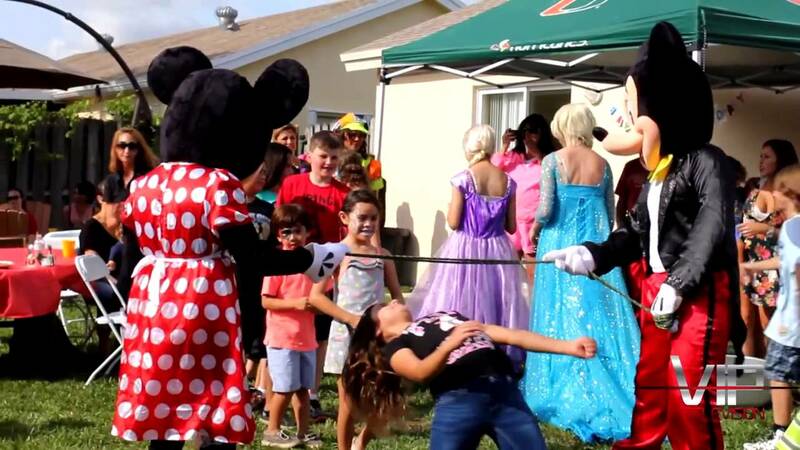 The only thing I was hesitant about was the fact that my daughter is getting to the age where princess parties aren't so cool. I contacted All-In-One and expressed my concern and they tailored their performance to her age level. After much planning, they day had arrived as did the Princess (Amanda)! All the guests (adults included) and Birthday Girl were surprised and excited! They played musical chairs, painted the roses red, and decorated teacups with the kids. She was very entertaining and enchanting and the kids just loved her and the adults were thoroughly impressed! Her portrayal of a princess was spot on. The Princess was a hit and was the talk of the party for the rest of the Golden Afternoon! I HIGHLY recommend All-In-One Kids Entertainment! Very professional and "On Stage" from the minute she walked in the door to the minute she walked out! WOW! I used a different company last year and was not happy with their performance, so I was hesitant to use this company. I found your company online and liked the idea of having an all included package! The face painting was awesome and everyone had fun playing the games. I really felt like a kid again!! Max is usually shy but you guys really brought him out of his shell. He REALLY loved being crowned the Prince of the day! Thank you so much for an amazing time and we will definitely see you next year! Thank you so much Bubbles and Bobo!! Our party was so much fun! Sophie loved the bubble show and the Bunny was a hit at the end! ALl the kids loved the face painting, balloons and the cotton candy! We love how you guys included the adults as well! We will definitely be referring you to our friends! magic show with live bunny! Best part is that we clean up when you are done! All you do is go home and don't worry about anything! Room rental fee is $250 with a $200 security deposit you get back at the end of the show. The entertainment is additional. 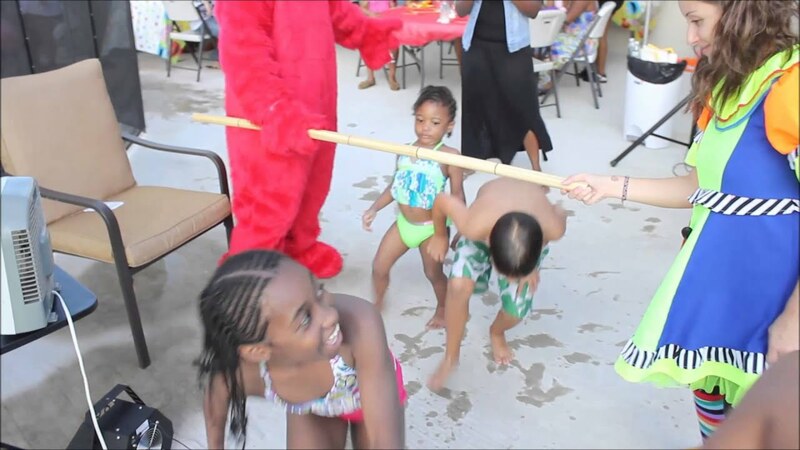 All-In-One Kids Entertainment specializes in full party packages. Instead of having to contact numerous companies to get all of your entertainment, we provide everything. Face Painting, Balloon Twisting, Cotton Candy, Interactive Games, Bubbles and a Magic Show with a LIVE Bunny. We also have different add-on options to make your party even more memorable! How far in advanced should I book? We recommend booking at least a month in advance. It is first come first serve and we book up quickly! We only have a select number of entertainers who work for us and the time that you want may not be available. The sooner you call the better! Can you tell me about your entertainers? Are they scary? Our entertainers are between the ages of 21 - 26 years old. They do not dress "scary." They do not wear face paint, wigs or big shoes. 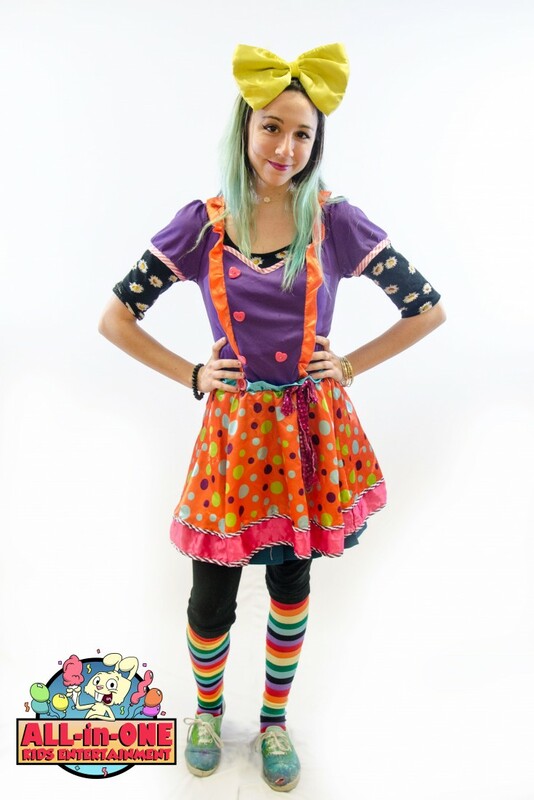 They are all young, happy and energetic "cute" clowns. Please review our pictures to see what they will look like! Where does All-In-One Kids Entertainment travel to? We service Broward County, Miami-Dade County and South Palm Beach County. We will travel to South Miami and other parts of Palm Beach County, however, certain restrictions apply. Is All-In-One Kids Entertainment Licensed and Insured? Do you travel to the event? Yes, we travel to all types of venues! From private homes, to parks and banquet halls! What do I need to provide for your clowns the day of the party? Our entertainers need a table and two chairs near an outlet. We provide everything else including music. How is All-In-One Kids Entertainment different than all the other companies? All-In-One Kids Entertainment provides party packages. Instead of having to call a bunch of different companies, and ordering everything a la carte, we do it all! From Face Painting to Balloon Twisting, Cotton Candy, Games AND Magic! We also have tons of add-on options! Is 1 Hour, 90 Minutes or 2 Hours enough time for all of those activities? Yes! We recommend 10 kids or less for 1 hour 20 kids or less for 90 minutes and 30 kids or less for 2 hours. You can also do 3 hours. We also send two entertainers who have excellent time management and can ensure all activities are done perfect and in no rush! We require a $100 non-refundable deposit. The rest is due in cash the day of before the start of the entertainment. Second credit card payments are subject to a 7% service charge. No, it is not included, however, we highly recommend it! Our entertainers work hard for their tips. The tip is at your discretion but we do recommend (as stated on the contract) a set amount based upon the type of party package you order. We require access to an outlet. We do not provide generators.